Where I blog about books and occasionally my knitting projects. I am still accepting books for review but on a VERY limited basis. If you are interested in my reviewing your book please check out my review policy and feel free to contact me at bookjunkie221@gmail.com. I found this on The Book Vixen's blog and I thought that I would share with you what I've read and what I have yet to read on this list. So I've READ 14 of books that are on this list and I have 31 in my TBR pile. How about you? What are your numbers? Hopefully you can read Matched soon. I really enjoyed that one. You gotta read Thirteen Reasons Why!! It was an excellent, realistic read. Makes you think about the little things you do and how they can affect other people. I've read 77! And there are tons in my TBR pile too! It's a pretty good list, most of my very favorites are on there. 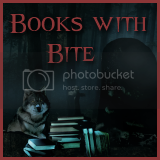 If you are interested in requesting me to read and review your book on my blog you can check out my review policy and you can contact us or email me. 5 - I LOVED this book! You have to run out and get a copy for yourself NOW! 4 - I really liked this book. It had some issues but nobody or nothing is perfect right? 3 - It was so so. I recommend checking it out of the library. 2 - Not for me. In the entire 3 years that I have participated in book blogging I have only awarded the "Awesome Sauce" Award 12 times. In order to qualify for the "Awesome Sauce" Award a book has to blow my socks off. It has to make me think about it days AFTER I've finished reading it. It has to make me not want to put it down and do basic everyday things like eat or do laundry. Basically, the "Awesome Sauce" Award is given to truly special books. Is that your book? If your interested in me reading and reviewing your book to find out feel free to email me. Online Gambling: Is it a Viable Money-Making Method?